Interact Committee’s main goal is to bridge the gap between the collegiate version of Rotary, Rotaract, with its high school branch, Interact. Our committee’s main focus for the semester is planning the biannual Cal Berkeley Rotaract Stayover (CBRS) held in the fall and spring. The Stayover is a two day, one night event aimed at empowering local high school students, demonstrating the importance of continuing service beyond high school, and presenting a snapshot of college/higher education. Every semester, Cal Rotaract hosts about 60 Interactors from around the Bay Area to offer a weekend full of guidance, networking, and fun! During the Stayover itself, our committee members serve as guides, mentors, and leaders to the high school attendees. SPRING 2019 INTERACT STAYOVER WILL BE: Saturday, April 27th – Sunday, April 28th, 2019. Many subcommittee tasks are completed in our weekly committee meetings but additional collaboration within committees may be needed to stay on track. Each subcommittee is led by a subcommittee leader, usually a general committee member. Depending on your personal interests, you will be able to work with your peers in order to accomplish specific tasks necessary for the Stayover. Overall, we hope our committee members are able to meet new people, make new friends, collaborate diligently, and gain a sense of satisfaction from all their hard work by the end of the semester. Why should you join Interact Committee? Our committee empowers youth to create a brighter and better tomorrow; we have a hand in shaping the next generation of leaders. As students at the #1 public university in the world, we have the resources, knowledge, and experience to inspire passionate high school students to continue community service after high school. With YOUR help, we hope to plan and execute the best, most inspiring Stayover for deserving high schoolers. While planning this large-scale event may seem like a daunting task, we hope to foster a positive, productive environment at every committee meeting to ensure that we all have some fun! Meeting Days: We typically meet every Thursday from 8-9 PM*. Room location will vary – Refer to our website calendar or Facebook Group! Interact Committee works together every semester to put together our main event, Cal Berkeley Rotaract Stayover, colloquially known as Interact Stayover, where Cal Rotaract invites 60 Interactors to come to UC Berkeley to learn about leadership skills, be exposed to the college atmosphere, engage in meaningful service, and meet others, Interactors and Rotaractors alike! Because Interact Stayover requires a large amount of logistical planning and work to create the most meaningful event for attendees, we expect that committee members will be dedicated throughout the planning process. 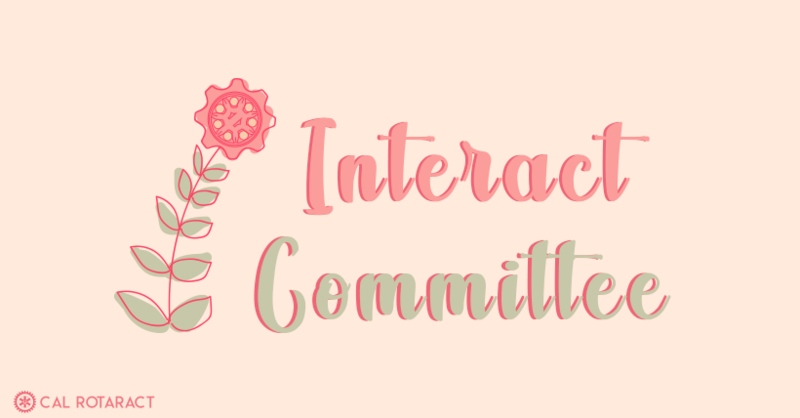 Therefore, Interact Committee has a “closed committee” policy, where committee attendance will be limited to individuals who will be able to dedicate their time throughout the semester to help plan this incredible event! Time commitment and work outside of committee is minimal, our hope is that committee members will be able to attend most, if not all, committee meetings, where a bulk of event planning and behind the scenes magic occurs! Note: This is NOT an application. This is more of a commitment form, for you to know what you’re signing up for and for us to get to know you better! Form will close: Thursday, February 21st at 11:59 PM. This is a soft deadline to be guaranteed a spot! Absolute deadline is Thrusday, February 28th at 11:59 PM. Our largest project is the Cal Berkeley Rotaract Stayover (CBRS), also known as Interact Stayover. 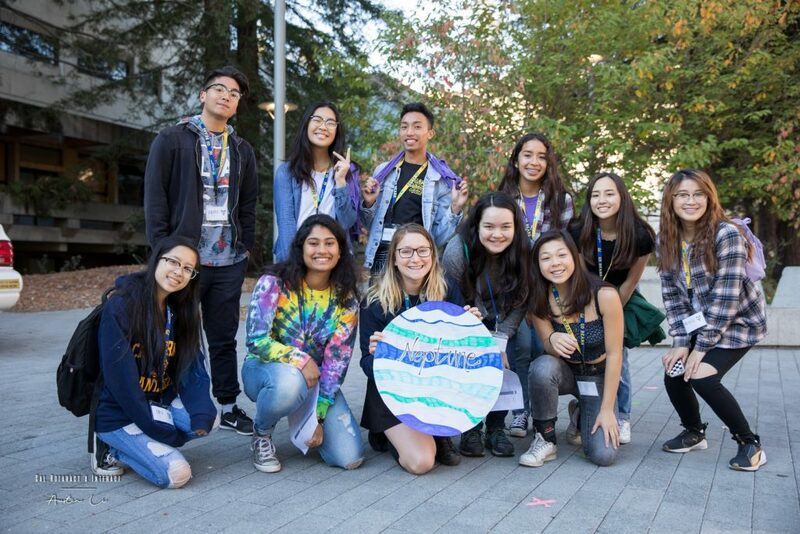 We invite around 60 high school students from Interact Districts throughout the Bay Area to spend an exciting, educational, fun-filled weekend in Berkeley. During the Stayover, Rotaract members lead high school students in a variety of workshops and panels to educate the future generation on the importance of service, to teach necessary leadership skills, and to encourage meaningful friendships. 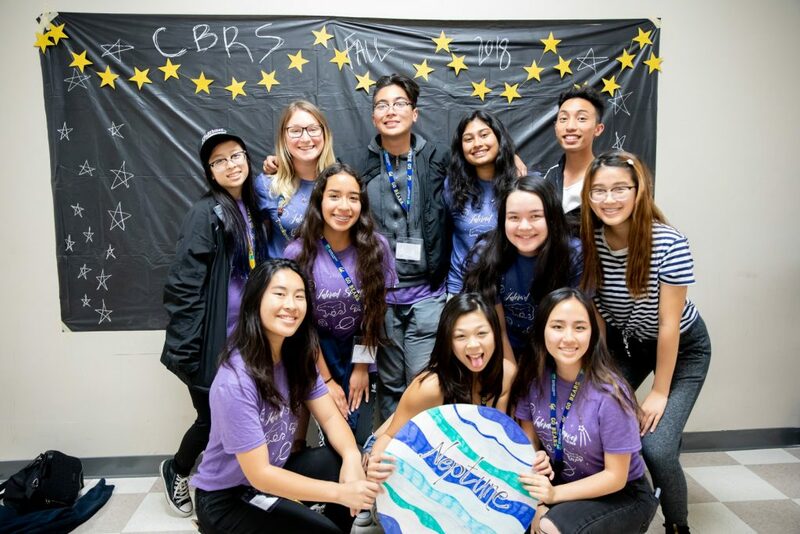 We also lead the high schoolers in fun activities such as the Big C Hike, Scavenger Hunts, and skits to help build a relationship between Rotary, Rotaract, and Interact. We will be having a mentorship program that partners Rotaractors with high school students around the Bay Area! The goal of this program is to provide guidance to juniors and seniors throughout the college application process and just high school in general. As a mentor, you will be paired with a couple high school students based on similar interests and personalities. We encourage you all to apply and be a mentor! Time commitment is low; primary communication between pairs will be through email, and additional contact is up to the mentee/mentor! The more mentors we have, the more high school students we can reach out to! Interest forms to be a mentor are due Friday, September 14th at 11:59 PM. The hard deadline (the form will close thereafter) is Tuesday, September 18th at 11:59 PM. This semester we are piloting a monthly online newsletter geared toward Interactors! This newsletter features articles written by committee and general members on subject matters relating to their college experiences! Apply to be a writer/content manager by Thursday, February 21st at 11:59 PM. Absolute deadline is Thursday, February 28th at 11:59 PM. This semester we hope to engage in a day of service between Cal Rotaract and local Interact clubs in a local community project. Through this event, Rotaractors and Interactors will work side by side in a collaborative effort to better the community. Our long term vision is to have a sustainable, open, and lasting relationship between Cal Rotaract and the local Interact community. Bridged by a common passion for service, we hope to bridge the gap between Rotaract and Interact, setting an example for the future generation of the importance of service beyond high school. Questions or Comments? 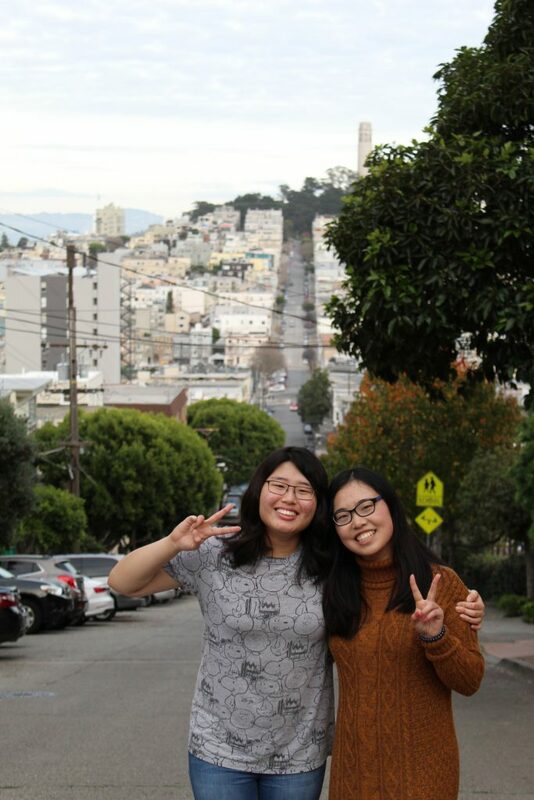 Contact Ningxin Zheng and Kate Im at interact@calrotaract.org!